The hotel has a great location near the harbor. 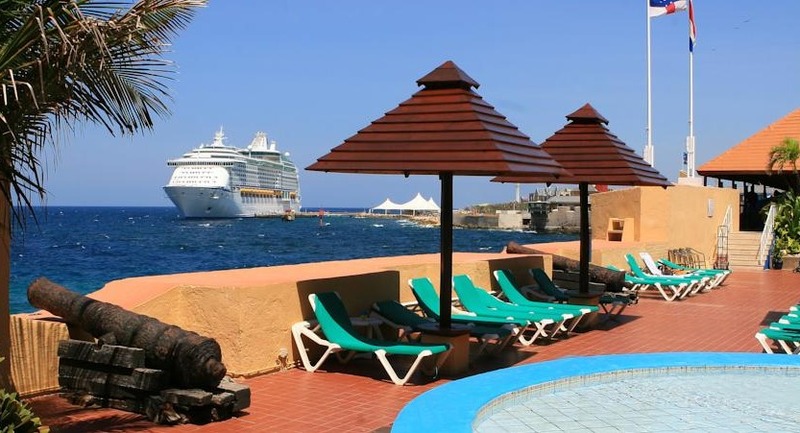 Built atop the historic Waterford Forte at the entrance of St. Anna Bay harbor, the Plaza Hotel Curacao offers stunning views and convenient facilities just steps from attractions in downtown Willemstad. Plaza Hotel offers an onsite casino. After playing some favorite slots or table games, relax by the pool with an exotic cocktail from Shooter’s Poolbar. Then, enjoy a spacious guestroom with views of the city or the Caribbean Sea. Visit Plaza Hotel Curacao and Casino’s entertainment desk for tips on any local activities and tours. For guests who wish to explore the island privately, the hotel’s lobby features two car rental desks. Fly into Curacao International Airport (CUR), Willemstad, Curacao. Plaza Hotel Curacao is located about 20 minutes from the airport. Visit Plaza Hotel Curacao’s website for more information.